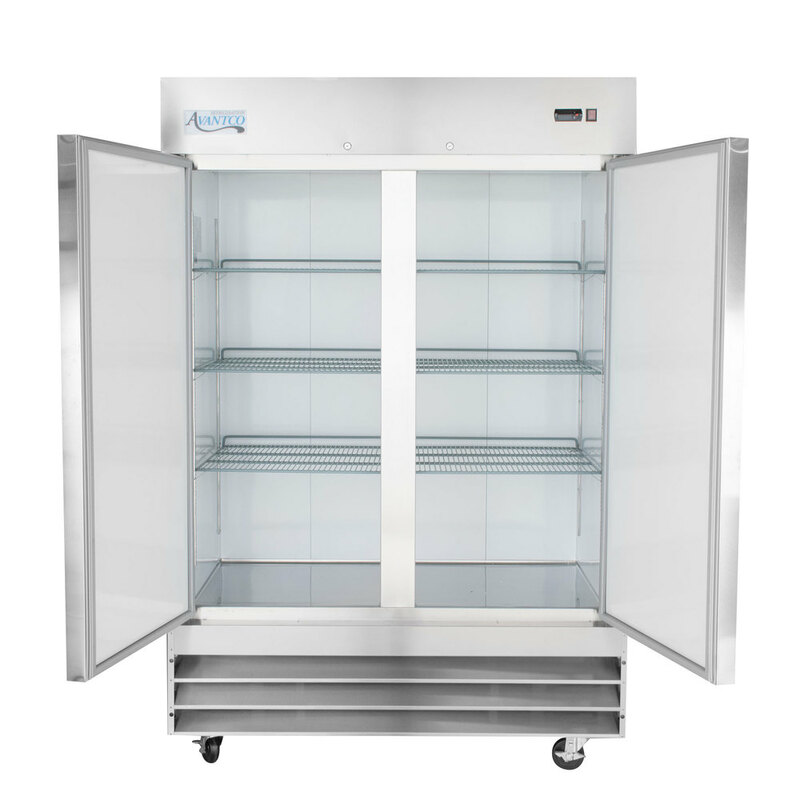 Your establishment relies on refrigeration for proper food safety, and with this Avantco A-49R-HC 54" solid door refrigerator, you receive performance you can depend on! A painted aluminum interior gives you increased durability, while a 430 stainless steel door and exterior sides give it a sleek appearance. For convenience, 6 epoxy coated shelves feature shelf clips for customization when desired. Designed to maintain temperatures from 33-40 degrees Fahrenheit, this refrigerator boasts a bottom-mounted 1/4 hp compressor that uses eco-friendly R290 refrigerant. This specialized refrigerant has an ozone depletion potential (ODP) of 0 and a global warming potential (GWP) of 3, making it an environmentally-responsible choice for your business. 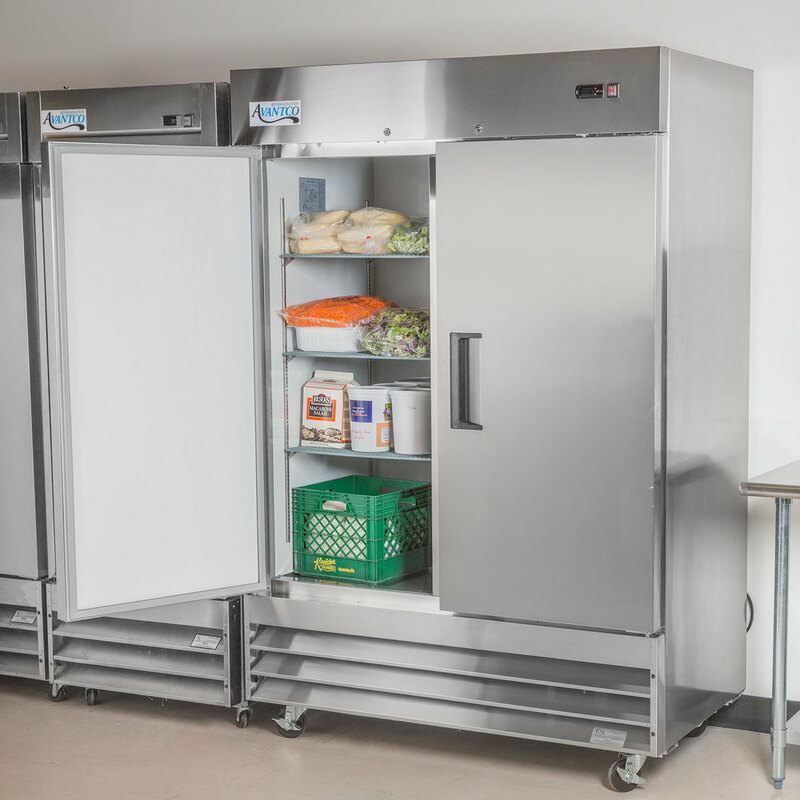 In addition, the bottom-mounted design makes it easy for employees to load and unload products due to the raised bottom shelf. For optimal temperature retention, the entire cabinet is foamed-in place using polyurethane insulation. Other helpful features include stay open doors with locks, automatic defrosting, and a digital temperature control with digital display. This item requires a 115V electrical connection for operation. We previously had walk in coolers in our kitchen. 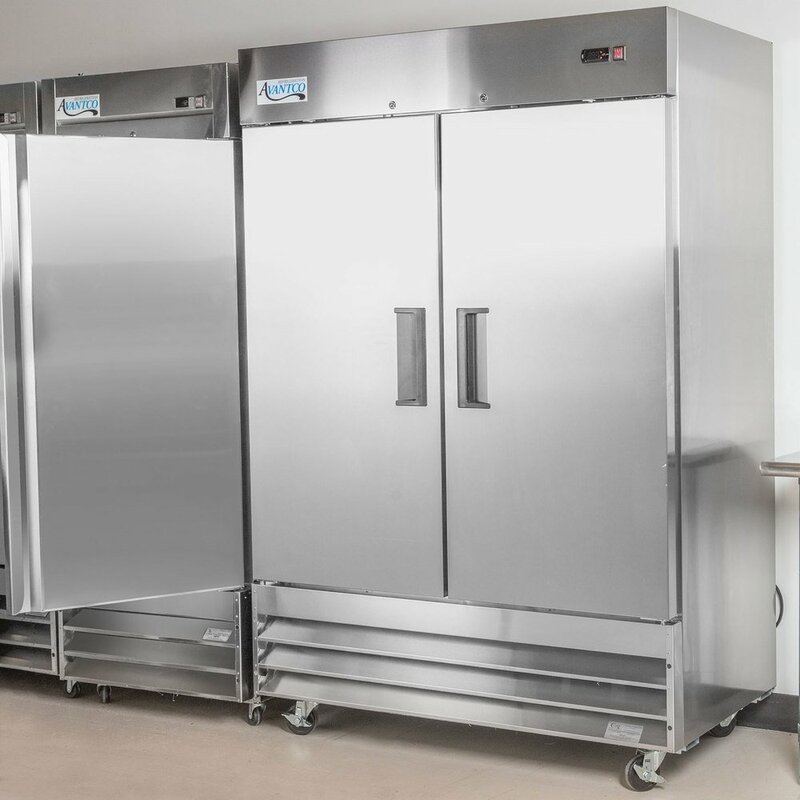 They were nothing but trouble, always had maintenance issues, so we decided to go with these refrigerators. They are great! They take up a lot less space and fit our needs perfectly! We are very happy with them! This reach-in fridge was needed for us and it has been great. Runs great and we have not had any issues from it. Would recommend. 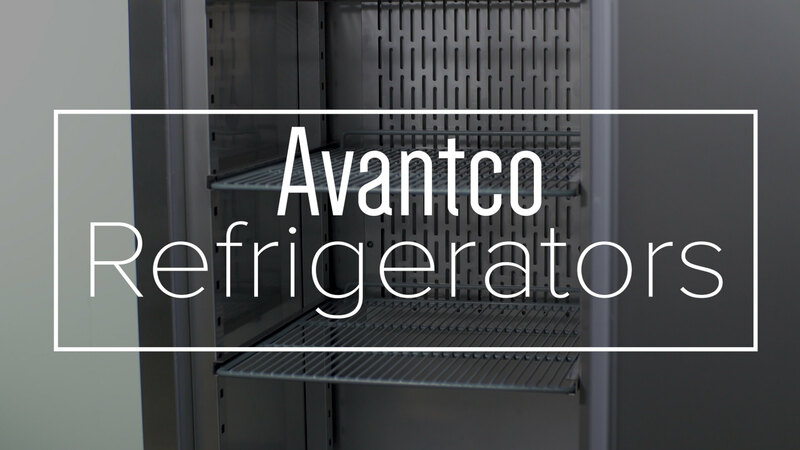 Avantco refrigerators are a very good quality product at a unbeatable price. We will see if they stand the test of time but so far very happy. This fridge is okay. We use it as a back up and I wouldn't trust it with our day to day milk and food. It isn't very quite but it was cheap and looks good. I absolutely LOVE my refrigerator This item was a excellent purchase. it stores a lot an the digital feature is accurate. I would recommend and I would buy a large one once I get into a larger space. We were looking for a good freezer for at hoe use for our garage. We needed it for meet we get during hunting season, and it is wonderful. it doesn't hike up our electric bill. it holds a lot of meat and it is sleek looking as well. also the temperature is easy to control and maintains the same temperature well. 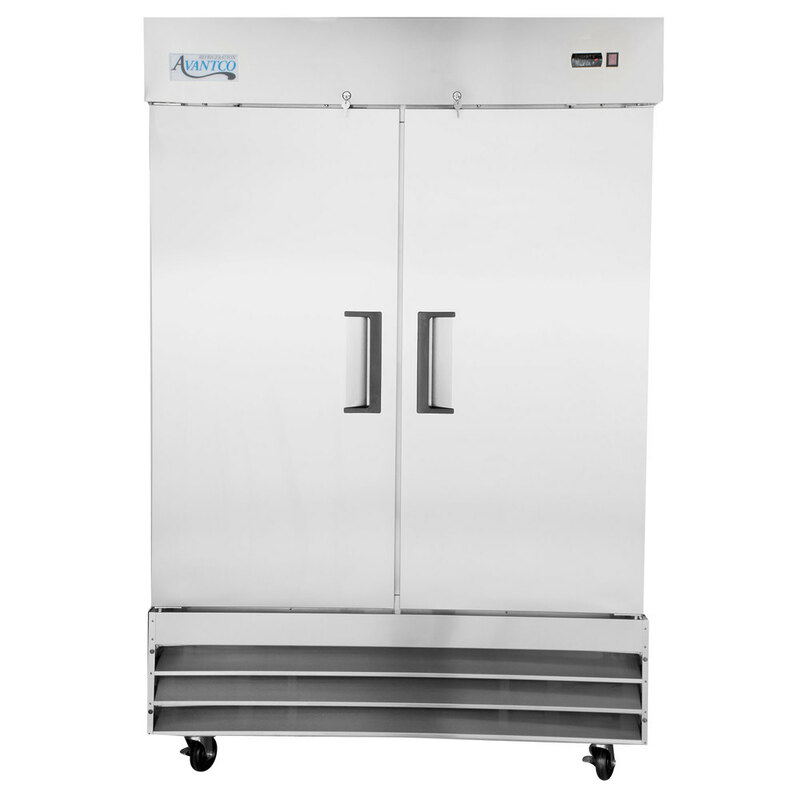 Solid two door fridge is sturdy and easy to move with the wheels it comes with. It has deep shelves and can store a lot of things. This is a great piece of equipment! It comes completely projected and everything is stored and wrapped up and it takes no time to get cool. This refrigerator is perfect and you cannot beat the price! Best deal online. Shipping was reasonable. Overall I would recommend this to anybody looking for a large refrigerator. Really nice! Shipping was quick and it's a "plug-in and go!" kind of fridge. Really quiet and it has an easy to read external thermostat. I would recommend this fridge for anyone that wants quality for a great price. We also purchased their cold table. Seem to be well made and durable. This refrigerator was a big plus for our diner. Keeps temperature well. Very spacious. Plenty of shelves to be able to separate meats from the other food. Will be purchasing another one soon. This has been a great fridge for us. It is a great size and the storage is wonderful. it was slightly damaged when it was delivefed. it i a very roomy fridge. For the price, I feel it is a great purchase. It is stainless steal so it's definitely a restaurant color. I hope it lasts since it was a very inexpensive option. 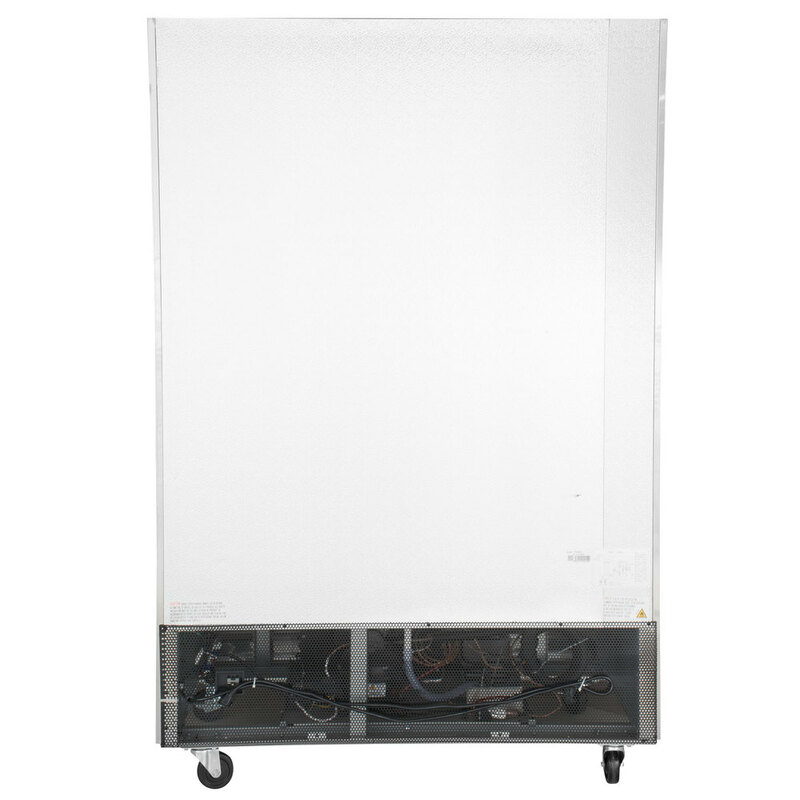 This unit is very well made and holds a very constant temperature and it is quick to return back to the set temperature. It has plenty of room inside and is the perfect size for small spaces. We purchased 3 of these units. They are very spacious and you can store quite a bit in these units. They also do not consume a lot of electricity. We have had no issues with the temperature controls or the units maintaining proper temperature. There was a small dent in one of the doors. Most of the doors need to be slightly opened for the locks to engage. Also, these units will not fit through a standard size door. You will need to remove the wheels. The shelves are adjustable but it wasn’t an easy task. Overall, we are very satisfied! Great reach-in refrigerator! 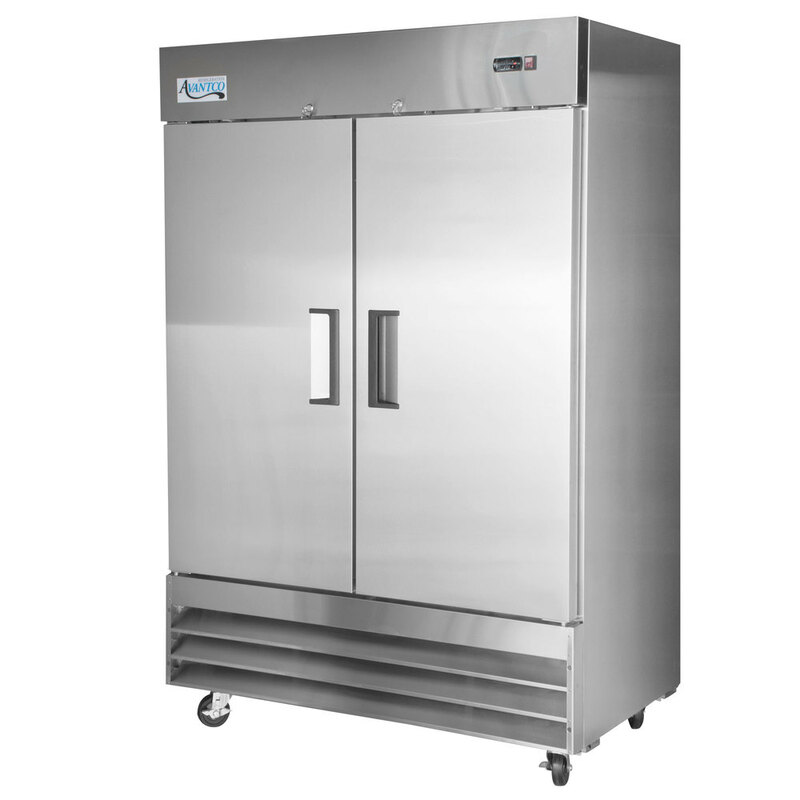 Easy to clean (made of stainless steel and with casters), it is very big and the doors are self closing! Inside there are two lights and the best part for me is that I can lock the doors. I had to put the refrigerator next to the dining area of my restaurant, and to do so, I needed locks! Sounds like a small refrigerator, but let the size fool you. It's perfect for a small kitchen and can hold a lot of food. 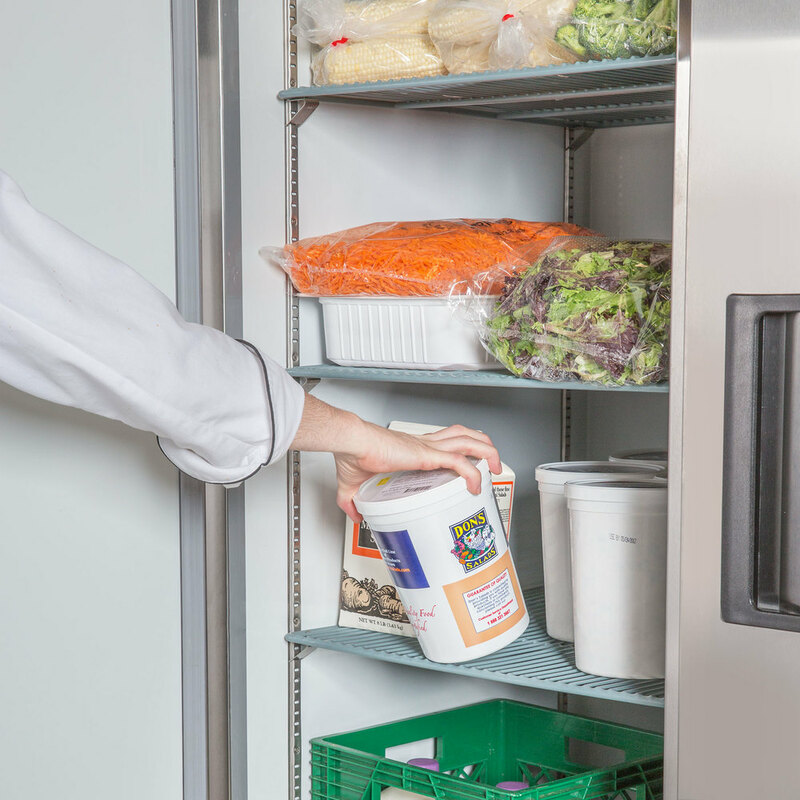 The shelves are adjustable to fit your needs and the doors open wide and stay open making it easy to remove stuff or to refill with new groceries. This item arrived quick. For the price is not that bad, but as soon as I received it it wasn't cooling. It always stayed in 40 F degrees so I called the warranty company and they "fixed it". Still every time you open this door, it looses 2-3 F degrees just by opening. Again, for the price I think its reasonable.